Today I had the vague goal of “incrementing traffic” in whatever way I thought appropriate. I thought of the Bézier Game: I hadn’t added a notice that the game didn’t work on touch devices, but now that I have a game that does, I might as well redirect this traffic to the Boolean Game. When I checked the stats on The Bézier Game, I was surprised to see it still gets 10,000 visitors per day. So I added a simple notice suggesting that you play the Boolean Game instead. I also posted the game on Product Hunt, Designer News, and Reddit. When I logged into Reddit after several years, I came upon my own profile and had completely forgotten that I used to create Rage Comics on Reddit when they were a thing. 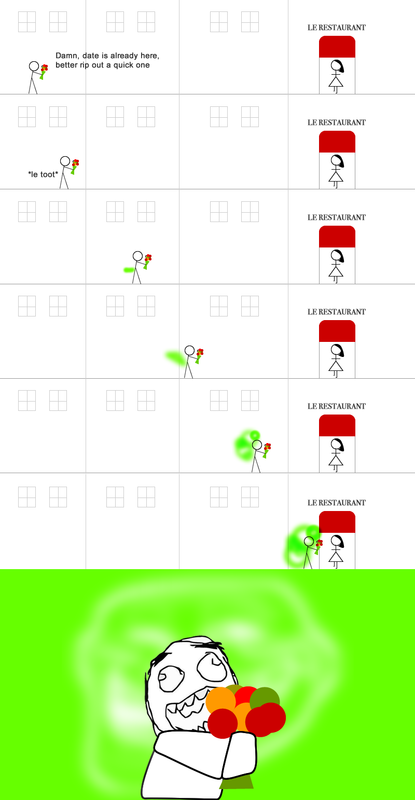 Some of the Rage Comics were bad, others were good, and others were good enough but completely unappreciated. It gave me some consolation that some good things simply go under the radar. After wasting some time I checked how it had done in the aggregators and the reception was quite mild. I packed up and hit the gym. As I was walking back from the library I thought: what would make me feel I’ve been successful in this endeavor?. There is financial success, of course (which is very much needed) but beyond this I’d be satisfied with a modest popularity that opens doors to unknown things in the future. Failure would be that it’s met with indifference. Would I feel disappointed? I asked myself, and surprisingly the answer that arose was no, the only alternative to this period would have been idleness, and that would have even more taxing on my wellbeing. According to my standards, the game fell right in-between these two. It opened new doors, and it was met with acclaim from people that I admire, but it was met with indifference from the public. After my yoga session I saw that there was nothing new on the front, but I ran my visitor analytics and was surprised to find 30,000 visitors, compared to 600 the day before. It’s still to early to tell if this is meaningful or just a traffic blip, but I had already made peace with this lukewarm reception so it was nice to end the day in a positive note.